.The inaugural flight, EY49, departed Abu Dhabi this morning carrying a special delegation including dignitaries, media representatives, influencers and senior members of Etihad Airways’ management team. 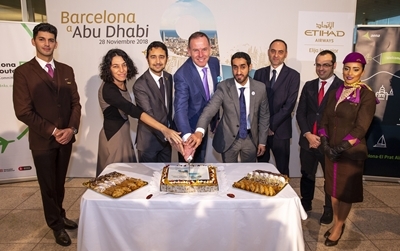 The UAE national airline is celebrating the occasion in style by hosting a special event held at the historic Capella dels Angels, a sixteenth-century Gothic building which is now part of the Museu d’Art Contemporani de Barcelona (MACBA), attended by leading figures from the local government, diplomats, media, corporate partners and travel trade. 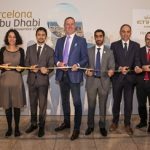 Tony Douglas, Group Chief Executive Officer Etihad Aviation Group, said: “We have been tremendously excited about the launch of this service and what better time to arrive in Barcelona than the month Etihad celebrates its 15th anniversary. Business and leisure travelers alike will be able to seamlessly connect to the service with twice-daily flights from Sydney and Melbourne via Abu Dhabi, and daily from Brisbane. 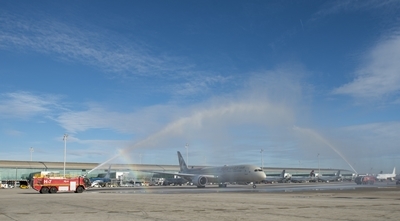 Etihad Airways also operates an extensive codeshare partnership with Air Europa (UX) allowing guests a convenient transfer with the Spanish airline’s services between Barcelona and Madrid. Etihad also codeshares with Air Europa beyond Madrid to 19 cities in Europe, South America, Mexico and the Caribbean.